Defective Construction Claims: Are They Covered Under the CGL Policy or Not? One area that is often argued are claims for defective construction under builders' commercial general liability insurance policies. This is an issue that equally affects a builder, a damaged party and the insurer, and how that issue is decided may depend on which state's law will control. The issue involves whether defective construction constitutes an 'occurrence' under a CGL policy and if so, under what circumstances. The Ohio Supreme Court addressed the issue in 2012 in Westfield Ins. Co. v. Custom Agri Systems, Inc. (2012 Ohio 4712) and held that faulty workmanship in and of itself is not enough to be considered an 'occurrence' under a CGL policy. However, damage to property caused by the defective workmanship may be covered. Ohio's approach is fairly strict compared to recent decisions in other states on this issue. A policyholder in Connecticut, Georgia, North Dakota or West Virginia might have better odds of making a successful claim given the more expansive interpretations that have come out of those state courts. 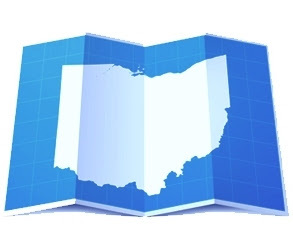 However, before policyholders start doing their happy dance...in all of these states, Ohio included, the rulings typically just addressed what constitutes an 'occurrence' under a CGL. Other exclusions or policy language may still preclude a claim.